Wow, nearly two weeks since I posted here last. We've been on holiday, staying at home but resisting a lot of time on the computer. Today though, it's a bit dull and drizzly and I'm avoiding doing anything useful out of pure laziness. Perfect day to blog. 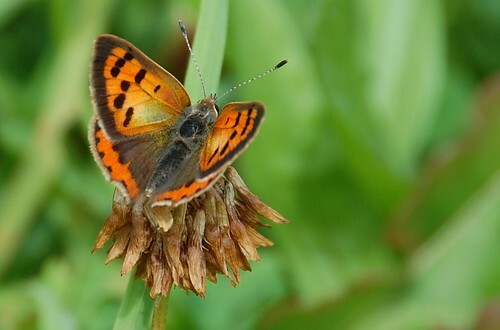 This Small Copper butterfly is a bit unusual with a green/yellow colour flash on its wings. Probably not new to science, they are quite variable and have even been seen in shades of black and white, no orange at all. 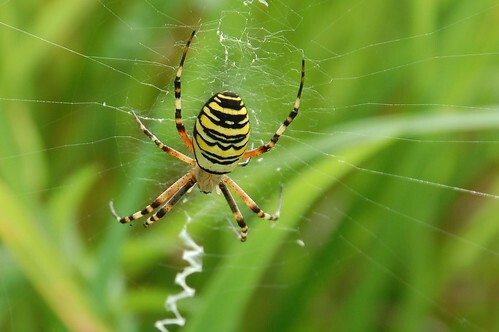 Wasp spiders are some of the prettiest beasts around at the moment, weaving webs in the long grass to feed well on the huge quantities of grasshoppers and crickets still hopping around. The zig zagging pattern is perhaps to attract mates, although we think we saw one little chap get bitten and wrapped before he'd managed to get his leg over. Plenty of vegetables to harvest still although I haven't been very timely with sowing for the autumn, the bed is prepared but empty. 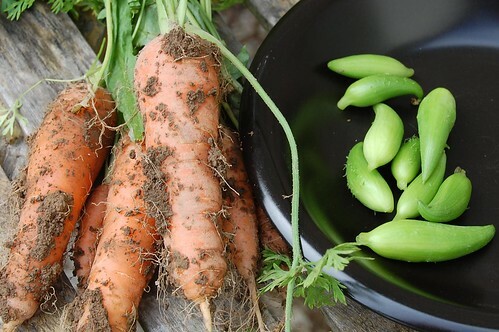 The carrots have been excellent this year after a very slow start in the droughty spring. The achocha are now in full swing but I'm sorry to say I don't find them of much use in the kitchen. Paul suggests we try currying some, and that may be the only way to add some interest to something which is basically green and crunchy with none of the character of cucumber or nutrition of beans. 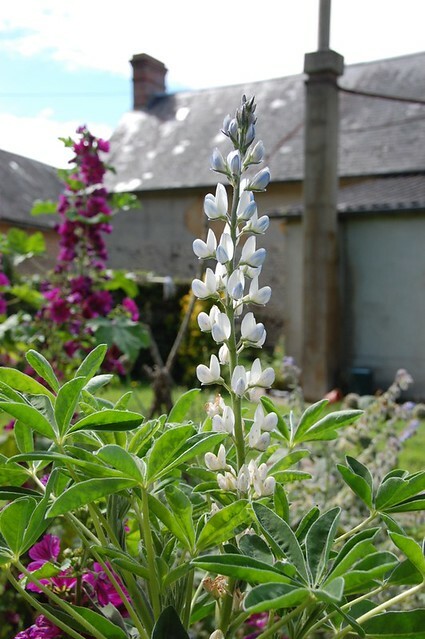 The last lupini bean plant is finally making some pods but with only a few warm weeks left I'm not hopeful of getting any mature beans. A pity, I had high hopes of these as an alternative crop which would fit into our vegan protein resources but without cover or further breeding work they're not going to do in Normandy weather.